Want to enjoy beer in shower the easy way? Shakoolie The Shower Beer Koozie makes this possible. 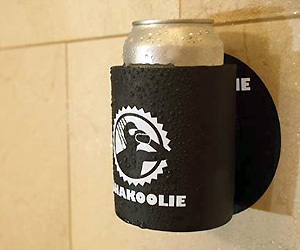 This beer holder sticks to the shower wall allowing you to place beer can in it anytime during shower. It keeps your beer icy cold even in hot shower.